Any family pets? If so, what kind? Why do you like the idea of a lifestyle photography session? What kind of images do you hope to get? 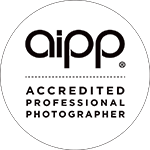 ● The Session Fee of $795 covers my time, my travel (within a radius of 30km from Joondalup), my specialist skills and the post production work of the photo shoot. ● The Booking Fee of $150 is due upon booking and is not refundable. If you cannot make your booked appointment, please let KS PHOTOGRAPHY know as soon as possible so that it can be re-scheduled. ● The remainder of the Session Fee of $645 is due on the day of the shoot and is not refundable. Non-show will forfeit the fee. May I ask how you have heard of me? ● Please allow for 21 business days delivery time of your USB. All images will be professional edited and optimised. ● A la Carte Menu orders may take up to 4 weeks to be completed, especially when books or canvases are ordered. ● By clicking the "I CONFIRM MY BOOKING AND AGREE TO THE TERMS & CONDITIONS" button you accept that no refunds will be given once a session has taken place. Please click the large confirmation box below to confirm your booking.